1509 - Henry VIII ascends the throne of England on the death of his father, Henry VII. 1792 - Tiradentes, a revolutionary leading a movement for Brazil's independence, is hanged, drawn and quartered. 1809 - Two Austrian army corps are driven from Landshut by a First French Empire army led by Napoleon I of France as two French corps to the north hold off the main Austrian army on the first day of the Battle of Eckmühl. 1836 - Texas Revolution: The Battle of San Jacinto – Republic of Texas forces under Sam Houston defeat troops under Mexican General Antonio López de Santa Anna. 1863 - Bahá'u'lláh, considered the founder of the Bahá'í Faith, declares his mission as "He whom God shall make manifest". 1894 - Norway formally adopts the Krag-Jørgensen rifle as the main arm of its armed forces, a weapon that would remain in service for almost 50 years. 1898 - Spanish-American War: The U.S. Congress, on April 25, recognizes that a state of war exists between the United States and Spain as of this date. 1918 - World War I: German fighter ace Manfred von Richthofen, known as "The Red Baron", is shot down and killed over Vaux sur Somme in France. 1922 - The first Aggie Muster is held as a remembrance for fellow Aggies who had died in the previous year. 1942 - World War II: The most famous (and first international) Aggie Muster is held on the Philippine island of Corregidor, by Brigadier General George F. Moore (with 25 fellow Aggies who are under his command), while 1.8 million pounds of shells pounded the island over a 5 hour attack. 1945 - World War II: Soviet Union forces south of Berlin at Zossen attack the German High Command headquarters. 1952 - Secretary's Day (now Administrative Professionals' Day) is first celebrated. 1960 - Brasília, Brazil's capital, is officially inaugurated. At 9:30 am the Three Powers of the Republic are simultaneously transferred from the old capital, Rio de Janeiro. 1960 - Founding of the Orthodox Bahá'í Faith in Washington, D.C.
1962 - The Seattle World's Fair (Century 21 Exposition) opens. It is the first World's Fair in the United States since World War II. 1963 - The Universal House of Justice of the Bahá'í Faith is elected for the first time. 1965 - The 1964-1965 New York World's Fair opens for its second and final season. 1966 - Rastafari movement: Haile Selassie of Ethiopia visits Jamaica, an event now celebrated as Grounation Day. 1967 - A few days before the general election in Greece, Colonel George Papadopoulos leads a coup d'état, establishing a military regime that lasts for seven years. 1970 - The Hutt River Province Principality secedes from Australia. 1975 - Vietnam War: President of South Vietnam Nguyen Van Thieu flees Saigon, as Xuan Loc, the last South Vietnamese outpost blocking a direct North Vietnamese assault on Saigon, falls. 1982 - Rollie Fingers of the Milwaukee Brewers becomes the first pitcher to record 300 saves. 1987 - The Tamil Tigers are blamed for a car bomb that explodes in the Sri Lankan city of Colombo, killing 106 people. 1989 - Tiananmen Square Protests of 1989: In Beijing, around 100,000 students gather in Tiananmen Square to commemorate Chinese reform leader Hu Yaobang. 1993 - The Supreme Court in La Paz, Bolivia, sentences former dictator Luis Garcia Meza to 30 years in jail without parole for murder, theft, fraud and violating the constitution. 1994 - The first discoveries of extrasolar planets are announced by astronomer Alexander Wolszczan. 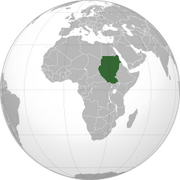 On June 30, 1989, the current president of Sudan, and then colonel, Umar Hassan Ahmad al Bashir overthrew the administration of prime minister Sadiq al- Mahdi, and established the Revolutionary Command Council for National Salvation to rule Sudan.